Tattooed white leather with vintage leather jacket sides. 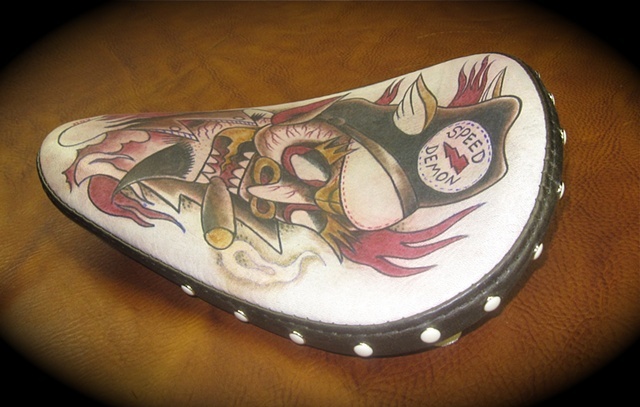 This is a "one off" Tattooed leather motorcycle seat designed by Alex Higgins and professionally upholstersed by Appleman Interiors on West Eagle pans. Alex has been tattooing since 1995 and working on this process for 5 years. You will not find a more suitable solo for your custom build. Click on the price to be directed to PayPal. Please add $20.00 for shipping.